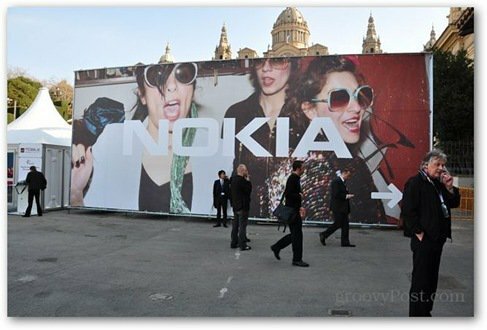 Mobile phone maker Nokia appears to be dipping its toe into the lucrative Tablet market. At least, that’s what a news report by Reuters says. The report quotes an interview with Nokia design chief Marko Ahtisaaari. And get this: a third of Ahtisaaari’s time is spent on creating the new device. This of course raises a few essential questions: is that a third of his whole time (i.e. 8 hours a day) or a third of the time he spends at work (and in that case, how long is that?). Just kidding; the idea is that he’s working on it very seriously. Design chief Marko said Nokia wants to make something very different from other tablets out there in order to stand out from the pack in the battle against Apples iPad line. Most of the iPad competitors on the market are running Android, but we all know that Nokia and Android don’t mix. And since Nokia has a partnership with Microsoft it’s easy to assume the new Nokia tablet will be running Windows 8 or a version of it anyway. It must be said that Nokia wasn’t successful the last time it ventured outside the phone business – the Nokia Booklet 3G netbook was considered by many too pricey for what it had to offer. The report says that the tablet should be available later this year.